An Inter-Class Drawing and Colouring Competition for was organized on 21 April , 2017 for the students of Class II at K.R. Mangalam World School G.K- II. 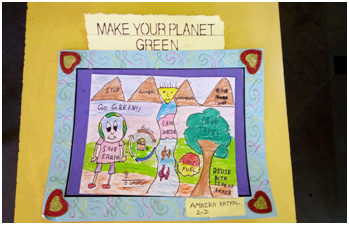 The theme of this activity was ‘Make Your Planet Green’. This activity was organized to explore and encourage creativity in children and offer them a platform to showcase their skills in drawing and colouring. It inspired children to think and work creatively and promoted artistic excellence. Children participated earnestly in the competition and came up with amazing artwork in drawing. Each of these drawings were artistically coloured by the children and was a real treat to the eyes. 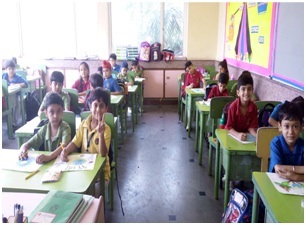 This fun filled activity witnessed an enthusiastic participation of all the students of Class II.